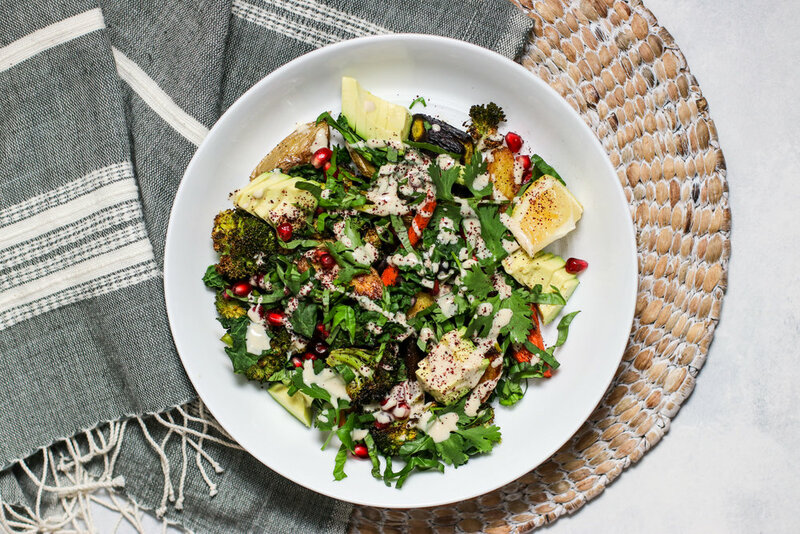 Roasted Veggie Bowls with Kale & Black Beans — Erin Parekh | Live Well, Simply. I love making a meal out of roasted vegetables. It's the perfect way to use up those last bits and bobs of produce at the end of the week. Try this method once and then run with it! The take away is the layering process. Preheat oven to 400 degrees and line a sheet pan with parchment paper. Coat potatoes and carrots with a generous dose of olive oil, salt, and pepper. Arrange in a single later on the sheet pan and roast for 25 minutes. Remove from oven and toss with broccoli florets and another drizzle of olive oil. 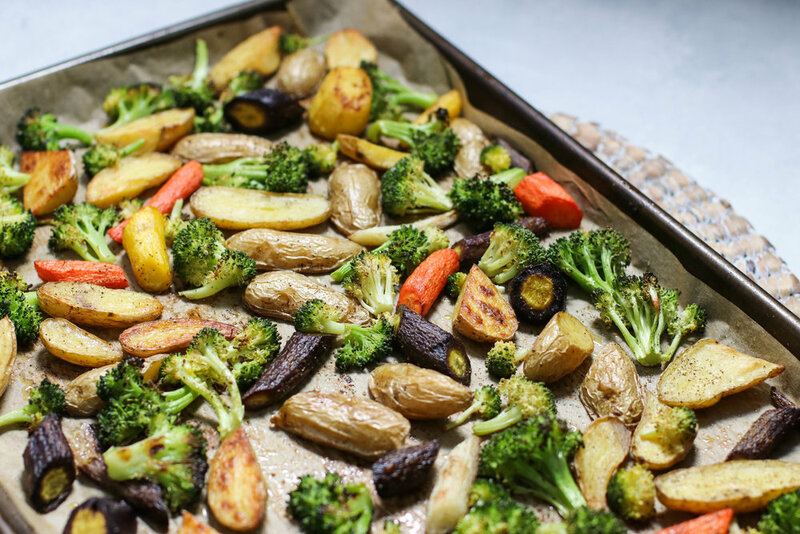 Turn oven to 425 degrees and roast an additional 15-20 minutes until potatoes and carrots are golden and broccoli is nicely charred. Remove sheet pan from oven. Evenly cover veggies with black beans and then top with several handfuls of kale. Return to oven for 5 minutes or so, until the kale is wilted and beans are warmed through. While the kale is in the oven, make the tahini sauce by whisking tahini, lemon juice, water, salt, cumin, and cayenne together. Taste and adjust seasoning as needed. When vegetables are ready, remove from oven and add toppings. Drizzle with tahini sauce, arrange avocado slices over top, and sprinkle with basil, pomegranate seeds, sumac, and Maldon salt. To serve, simply spoon big portions into each bowl and garnish with a lemon wedge. Take this method and run with it. Use any vegetables in your crisper. Swap out the black beans for chickpeas or lentils. Instead of kale, add spinach. Use cilantro instead of basil. You get the idea!